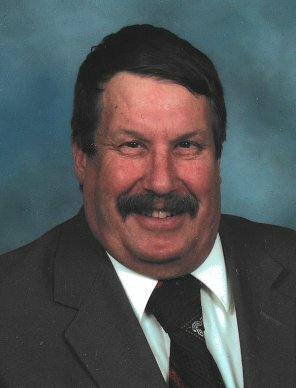 James “Jim” Charles Lauer, 74, of Fremont, OH passed away at his home on Monday, September 17, 2018. He was born February 8, 1944 in Fremont, the son of Joseph G. and Helen (Reineck) Lauer. He was a 1962 graduate of St. Joseph Catholic High School. Jim served in the U.S. Navy as a Hospital Corpsman from October 10, 1962 until October 7, 1966 and received the National Defense Service Ribbon and Good Conduct Medal. Jim worked as an installer at Spieldenner Floor Covering from 1966 until 1999. He was an active member of St. Joseph Catholic Church where he was an usher for many years. He was also a member of the Fremont Elks, K of C and American Legion. Jim enjoyed fishing, gardening and playing cards. He was a member of SJCC Booster Club working many events. He was an avid Ohio State and Cleveland Browns, Indians and Cavs fan. The best times of Jim’s life were spending his winters in Fort Myers Beach, FL with his buddy, Larry. He also enjoyed spending time on Lake Erie at Put-In-Bay and fishing on the Friendship IV. Jim is survived by his siblings, JoAnne (Patrick) Colgate, Naples, FL, Judi Hughes, Olmsted Twp., OH and John (Alison) Lauer, Fremont; nieces and nephews, Bill, Ken and Bob Colgate, Andrea James, Alissa Abdoo, Brad Lauer, Erika Williams, Monica Bringle and Joshua Lauer. He was preceded in death by his parents; brother, Joseph Lauer; brother-in-law, Daniel Hughes; nephews, Gary Colgate and Brian Lauer; life-long friend, Larry Kramer. Visitation: Friday from 4 p.m to 7 pm at Wonderly Horvath Hanes Funeral Home and Crematory, 425 E State St., Fremont, OH. Mass of Christian Burial: Saturday, September 22, 2018; 10:00 a.m. at St. Joseph Catholic Church, 709 Croghan St., Fremont, OH with Fr. Jeff Smith officiating. So sorry to hear this. I seen him a few months ago and I hadn’t seen Mr Lauer for 23 years he was quick to say hello. He didnt remember my name but remembered I use to work at Buds. Larry and Jim were great guys to talk about high school football with. He will be greatly missed here at Associated Buyers in Fremont, Ohio. Always enjoyed talking with him and hearing of his proud feelings for his family. John, Alison, & family, I am so sorry to learn of the passing of your brother. Sending prayers for all. I am so sorry to hear about your brother’s passing. I have many memories of Jimmy working at Spieldenner Carpet One. You are all in my thoughts and prayers! So sorry to hear the news of your brother, whom I met while in Fremont. My condolences. Jim was always there for our class lunches and a great supporter for our reunions. I am so sorry I cannot be there this weekend but I will be remembering him and the family in my prayers. He truly will be missed! I remember Jimmy Lauer as a fun loving kid back in the day. I am happy to remember him as he always was smiling and genuine caring of people. Jim was the best of childhood friends. With great fondness I remember the many adventures we had together in our younger days through grade and high school and beyond. Playing softball, horse shoes, croquet, chinese checkers and pinochle at Birchard Park in the 50’s. Little league baseball, Jim played second base. Hanging out at Bob Warner’s store and Jungle Bunnies, basket ball at Jocko’s, listening to the Indian’s ball games on radio, watching steam engines and putting pennies on the tracks at the Napoleon and Jefferson street railroad tracks, sledding at Spiegel Grove, snow ball fights and forts, white bass and bull head fishing in the Sandusky river and perch fishing at Lake Erie, swimming at Roger Young Park, riding bikes to Tiffin and all over Fremont, learning to drive cars, substituting for each other’s paper routes, altar boys together, classmates through all the grades at St. Joe’s. Family visits and friendship with the Lauer’s and my family . Over the years of our lives Jim kept me up to date by phone about all the Fremont news. A true, life long friend indeed. Jim had a friendly smile and a kind word for every one. He was a complete Fremont and St. Joe loyalist. He kept track of all the class mates and their doings and was in on organizing many reunions. A real people person. It was great times and Jim was a great, loyal and very dear friend. Thank you Jim for all the wonderful and beautiful memories you made for me and all your many friends. I love you Jim and miss you. JoAnne, Judi and John thank you for being there for Jim. It’s a sad loss for all of us but fond memories will always remain for Jim. Our sincere sympathy to the Lauer family. Always enjoyed covering Cleveland Indians and SJCC sports with Jim. Could count on seeing him at 818. Sorry we are not able to pay our respects as we will be in Florida. Sending prayers. Rest in peace, Jim. John, Allison and family sorry to hear of Jim’s passing. We are out of town and just found out. Sending prayers. Rest In Peace. May God comfort you with His loving presence during this sad time. Jimmy was a friend to everyone. His spirit will live on in your hearts along with all of us in his class. Keeping all of you in prayer.